The Belgian midfielder joined BVB last summer from Chinese Super League side Tianjin Quanjian for a reported deal of £18m. 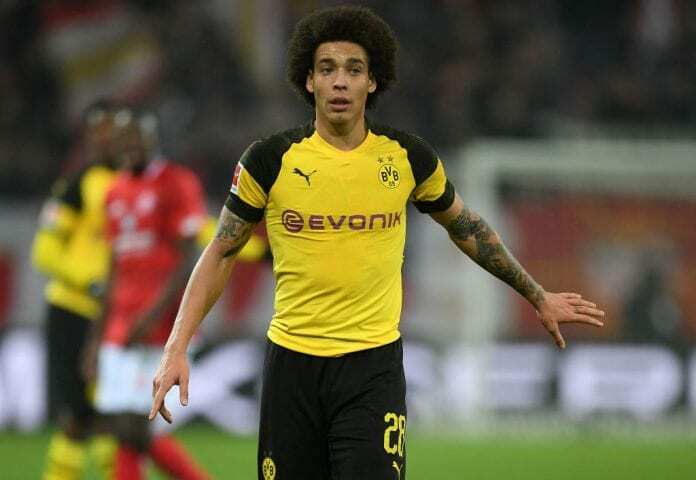 Witsel has since established himself as a key member of the Dortmund side that currently leads the Bundesliga table by six points from Bayern Munich. Despite the fact that he hadn’t played in European club football for one and a half years, however, Witsel isn’t surprised by his instant impact. “It hasn’t surprised me, no. I focused a lot on keeping in good shape and maintaining a high level in China,” Witsel told Kicker. Witsel has managed three goals and one assist in 24 appearances across all competitions this season. Dortmund will be back in action this Saturday away to RB Leipzig in the Bundesliga. Tottenham manager Mauricio Pochettino doubts Manchester City will be eyeing revenge ahead of this afternoon's showdown in the Premier League.